In an article you can read here a top orthopedic surgeon describes how the number of knee replacements more than doubled in the first decade of the 2000s, far outstripping population growth. While total knee replacements are an amazing breakthrough for people with disabling knee pain I too have seen how they have become often recommended to patients without severe arthritis where other alternatives could have been tried but were never recommended. This is a problem because about a third of patients who get knee replacements have continuing pain. I have seen many patients with buyer’s remorse when this happens. 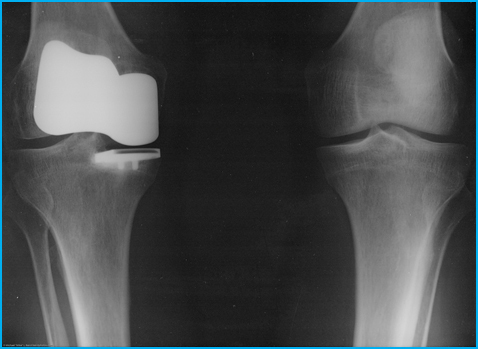 And since knee replacement removes the patient’s knee, if the artificial knee is painful there is often no solution and patients may be relegated to a life of permanent pan after the procedure. The advent of biologic answers, PRP (platelet rich plasma) and stem cell treatments has transformed my treatment protocol for such patients. Along with hyaluronic acid injections they provide a safe often effective alternative to knee replacement. However it is important to not use cortisone injections which damage cartilage and are associated with an increased risk of infection if knee replacement is later done. It is also important to not use NSAID drugs (ibuprofen, Motrin, Advil, Aleve, meloxicam, diclofenac and celebr4x) which mask pain leading to further unknowing damage. They also inhibit healing and are incredibly toxic: being associated with sometimes fatal bleeding ulcers, kidney damage, liver damage and heart attacks. The message is that knee replacements can be a wonderful life changing treatment if all else fails. In this case there is no choice and if an adverse result occurs, it was a risk worth taking. But when they are done when other alternatives exist, they can lead to a lifetime of regret. I recently gave a lecture at a women’s health forum in Naples Florida on PRP and stem cell treatments. One of the audience members said that she had two knee replacements and a hip replacement and had continued pain in all. She wanted to know if PRP or stem cell could help. I felt great sympathy for her especially since I had to tell her that there was nothing I could do for her.